For more than twenty years we, Markus Kirschbaum and Klaus Vorderstrasse, have been true believers in the Cavalier King Charles Spaniel and King Charles Spaniel breeds, and for more than ten years we have been running our combined hobby kennels “Bonitos Companeros”. We are members of the VDH / FCI. Healthy hearts : We have our Cavalier and King Charles Spaniels regularly tested by a cardiologist, and have been doing that for more than ten years. Only Cavaliers and King Charles Spaniels with healthy hearts are used for breeding in our Bonitos Companeros kennels. Character: Our Cavaliers and King Charles Spaniels are bred and raised in the house. We place great importance on natural and balanced growing up and we socialize our puppies from the very first day. We recommend our article: Early puppy stimulation. (Frühstimulanz) Our place in the country is ideal for bringing up dogs. They have plenty of space for running and playing. Vitality: All our dogs undergo rigorous checks before we breed from them. 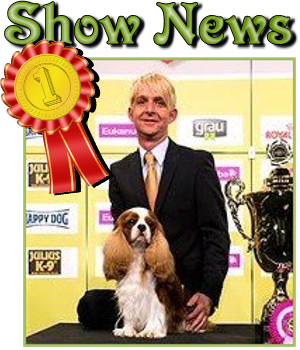 These checks are conducted by specially trained kennel judges and breeding experts. They look at physical fitness, body shape, character and breed specific characteristics. Only dogs that pass these tests will be included in our breeding programme. Experience: Our breeding activities are based on years and years of experience and we keep learning continuously. We are both active advisors and judges in Germany’s Cavalier King Charles Spaniel Club. We take our responsibility for both breeds very seriously. So we have created an international network of breeders, which allows us to refresh our gene pool continuously and to avoid overbreeding. Advice and consulation: Giving advice is also a top priority for us. We are very happy to have you visit us or discuss matters in detail on the phone by prior appointment. This does not end once a puppy has been sold. We try to keep in contact with all buyers and we also organize puppy days, so that experiences can be shared, and siblings can see each other. Certified VDH Breeder: Our kennel has been certified and officially recognized by the Verband Deutscher Hundezucht (VDH). A qualified breeding expert regularly checks all litters and the living conditions of all our dogs. In addition to that we have also obtained official permission to breed by the official veterinarian according to Animal Protection Law §11. All health certificates of the dogs we breed from can be viewed on request. 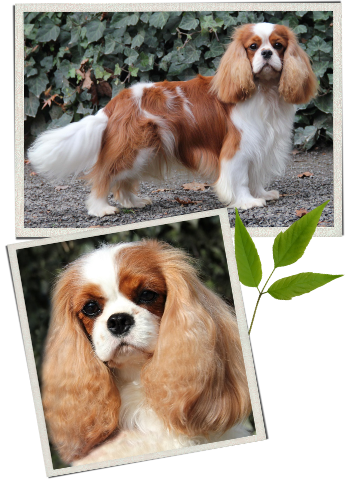 The rare King Charles Spaniel breed is our additional passion at Bonitos Companeros. In order to distinguish clearly between the two breeds we have created a separate homepage for our “Charlies”, the Bonitos Companeros DELUXE. The King Charles Spaniel, which is very rare in Germany, is the so-called arch-ancestor from which the Cavalier has originated. Only about twenty puppies are born in Germany each year. In addition to the fantastic characteristics that the Cavalier has, the King Charles has a number of other qualities as well that we would like to explain in detail on our Bonitos Companeros DELUXE page.